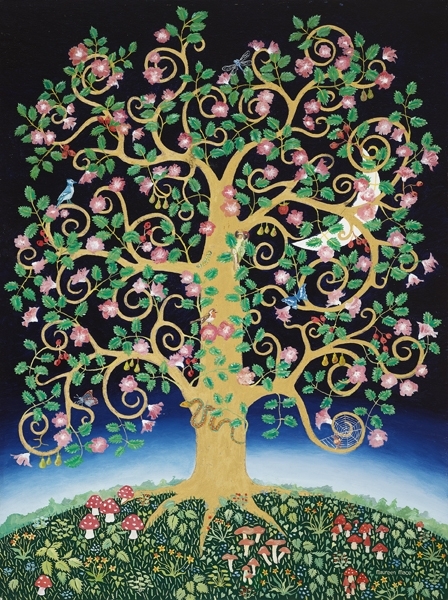 The Tree of Life was my first painting based on folklore and mythological trees. It started as a discussion on how other artists had tackled the subject. I was soon writing a very long list about what I thought should be represented. The resulting image only has a small fraction of those ideas. It led to a whole new development of themes which I am still working on.